Brailing (pulling in) a mackerel seine from a seine boat alongside the mackerel schooner. The seine is full of fish, which are transferred to the schooner with a dip net. This was an advertising photograph taken by Albert Cook Church, a Massachusetts photographer. 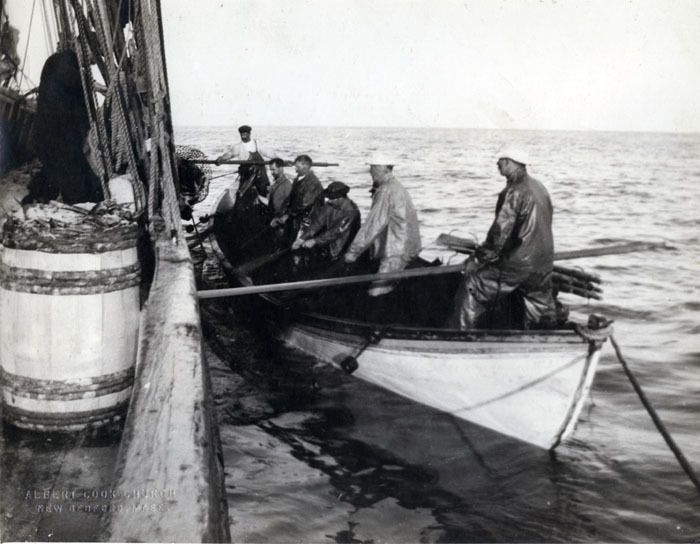 Photograph from the Atlantic Fisherman collection.